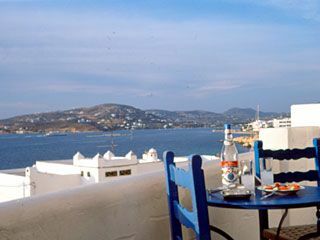 Stratos Studios & Apartment offers holiday accommodation on Paros Island, Greece, with a wide range of rooms, studios & apartments to suit every taste & budget. 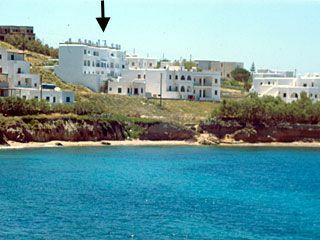 It is located within walking distance from the port of Parikia - right above a beach and within easy reach of all the bars, restaurants and night-clubs in Parikia. 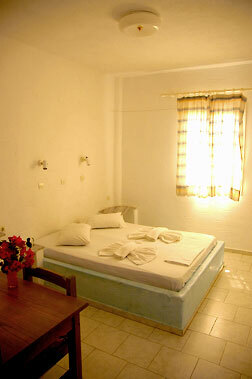 Browse the following pages to find out the holiday accommodation that suits you best! 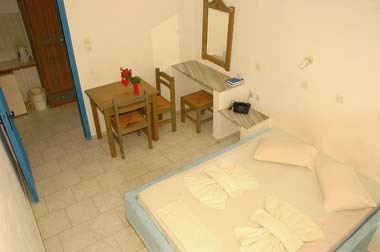 Located right above a quiet beach on the south side of Parikia, Stratos Studios & Apartments is within walking distance to all the nightspots and amenities Parikia has to offer and next to the central road with regular bus schedules. 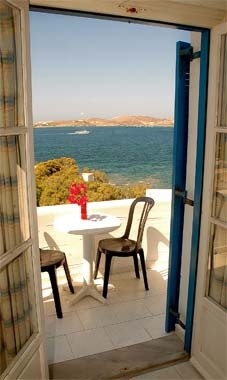 Our studios and apartments have breathtaking views of the bay of Parikia and the islands to the west of Paros. 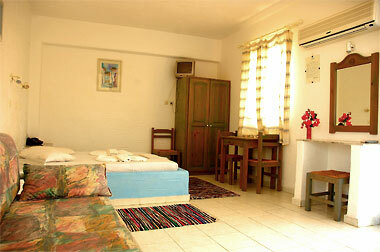 For a lower budget accommodation, we offer studios in the blooming garden. 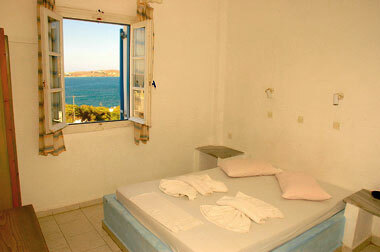 Our rooms and self-catering studios and apartments (2 rooms) have double or single built-in beds and also balconies - some with sea & sunset view. They all feature TV, air-condition, refrigerator and cooking facilities on demand. 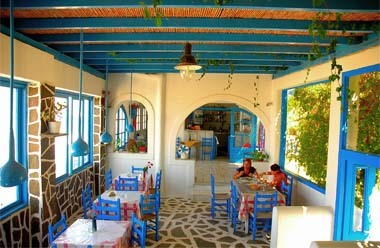 The building is planted with colorful flowers and there is also a breakfast hall/snack bar on the ground floor. 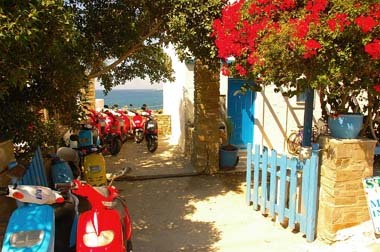 We also provide motorbike and bicycle rentals on site. 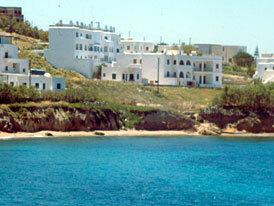 Also, free transfers to and from the port.